I learned systems analysis in graduate school. I know how to use analytic tools to break a problem apart and fix the component parts. That is, I know how to use the tools if and only if I know that a problem exists. In most cases, somebody has to describe the problem to me. 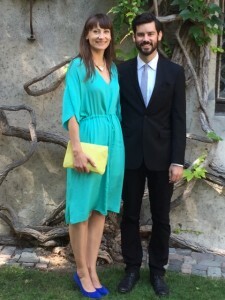 Julia and Elliot, our son and daughter-in-law, learned design thinking in graduate school. They know how to observe closely and intuit what users need. They empathize and can see the world from the user’s perspective. They know how to suspend their assumptions and see the world as it is, not as it’s assumed to be. Paraphrasing Picasso, they see with their eyes, not their minds. They also have the skills, of course, to design solutions to meet the user’s needs. They can even design solutions for problems that weren’t apparent to the user. Because of the way they observe the world, Julia and Elliot can identify problems and needs that I can’t. Businesses are starting to realize that design thinking holds significant advantages over traditional methods of systems analysis. Design thinking is an observational skill as much as an analytical skill. It uses empathy and imagination to understand the world at a deeper level and design unexpected solutions. What does it mean to be design-driven? McKinsey gives a simple definition: “…it’s a way of thinking: a creative process that spans entire organizations, driven by the desire to better understand and meet consumer needs.” For me, it’s not only a way of thinking but also a way of seeing. Designers see what the customer really needs, even if the customer doesn’t. In this regard, design thinking seems similar to the art of negotiation. A successful negotiator sees what the other side needs — even when the other side doesn’t. The negotiator negotiates to that need. The designer designs to it. In another article, McKinsey expands the definition and states a key benefit: “A design-driven organization is always thinking about its customers, empathizing with end users, and trying to solve problems while keeping its customers in mind. … Companies that have placed design at the center of the organization perform better.” (Italics added). Design, in other words, provides a competitive edge. When I was fresh out of school, systems thinking was a competitive weapon. Today, it’s design thinking. Design used to be about things, objects, and spaces. Today, it can equally be used to create business processes and services. The business world seems to be making a fundamental transition from analysis to design. Instead of decomposing a problem, innovative businesses are using imagination and empathy to create solutions. Julia and Elliot, in other words, have positioned themselves at the leading edge of a transformational new wave. What a great time to be young.